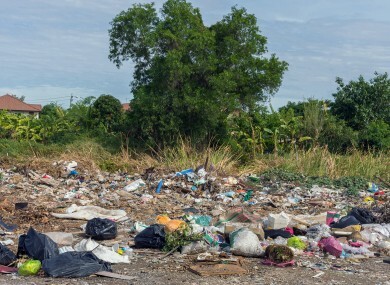 WICKLOW COUNTY COUNCIL has approved a temporary increase of an additional 40,000 tonnes of waste for the Ballynagran landfill – branded by an environmental agency as the “worst in the state”. According to a letter circulated by the council’s CEO Bryan Doyle, the increase will bring the annual intake this year to 190,000 tonnes – 40,000 tonnes above the maximum tonnage under planning conditions. This addition has come about because of an “emergency situation” as the landfill at Drehid in Co Kildare has exceeded its annual Environmental Protection Agency (EPA) licence capacity (set at 150,000 tonnes). Doyle also pointed out that the EPA recognised the “serious nature of the situation”, and allowed the volume at the site to be increased temporarily. We know that Ballynagran landfill is already rated by the EPA as the worst dump in the State. Rather than doing something to change this, we will see thousands of additional waste instead. “It’s concerning that this decision has been agreed with no consultation with locals or public representatives whatsoever. I am aware of a family who had no option but to leave their own home one year ago and haven’t been able to return since because of the odour. He said that the letter had been “circulated late Friday evening without any warning” and that locals should have been notified of the emergency situation “a long time ago”. There are approximately 25 landfill sites operating across Ireland. According to the EPA, municipal waste generated per capita has decreased by 24% over the period 2007 to 2012, from 0.78 tonnes of waste generated per person in 2007, to 0.59 tonnes in 2012. Email “'Worst landfill in the state' to receive 40,000 extra tonnes of waste”. Feedback on “'Worst landfill in the state' to receive 40,000 extra tonnes of waste”.